We are bracketed with the prominent Manufacturers, Exporters and Suppliers of Anti Stone Medicines. 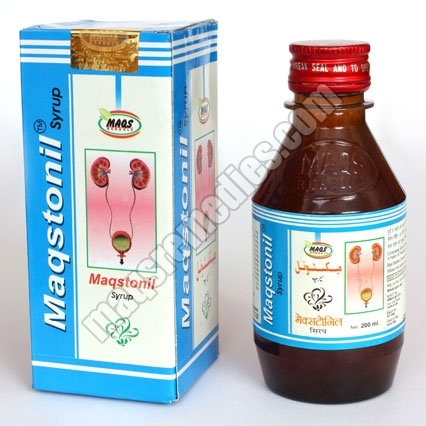 Our range of Anti Stone Medicines is inclusive of Maqstonil Pills and Maqstonil Syrup. Formulated using fresh herbs, these medicines cater to all the stone problems. In addition, these medicines are meticulously packed by our experts using hygienic packaging material. Consider us, to get the Anti Stone Medicines at the most reasonable prices. 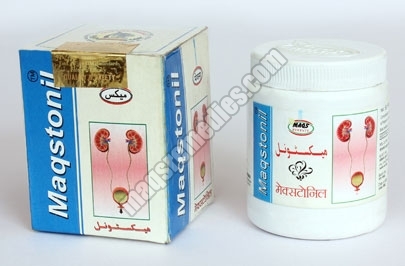 Made from Rare Herbs Which is Effective in Various Calculi (stones ) the Herbs Extract Acts Upon the Stone Break Up Into Small Articles Which Passes Out Through Urine. Relieves in Pain Developed Due to Calculi in Kidney and Urinary Bladder.also Removes Inflammation of the Respective Organ. Maqstonil Syrup Prepared with Various Valuable and Slected Herbs Which Acts Upon Stone, Aggregated in Kidney (renal Calculi) and Urinary Bladder, Removes Stone By Breaking Into Smaller Particles Through Urine.